Å koda Auto’s new concept car – the Å koda Joyster – is having a world premiere at the Paris International Motor Show. Shaped very dynamically, this leisure-time three-door front-wheel-drive compact vehicle is mainly targeted at young people. On top of its fresh-looking design, the vehicle offers a high degree of comfort and smart modern communication solutions. The Joyster concept demonstrates the big creative potential of the company’s young designers led by Jens Manske. The team indeed creates new, simple and sophisticated solutions in the spirit of the company’s advertising slogan “Simply Clever”. Based on the Octavia Combi 4×4, the Octavia Scout is going to reinforce the manufacturer’s position in the four-wheel-drive and leisure-time segments and significantly extend the brand’s model portfolio at the same time. With increased clear height, the four-wheel-drive system and two powerful engines 2.0 TDI PD/103 kW (140 HP) and 2.0 FSI/110 kW (150 HP), the model is another addition to the Octavia range. Other attractive items to be exhibited by Å koda Auto at the Paris Motor Show include the Roomster, new top-class equipment levels Laurin & Klement for the Octavia and the Superb, as well as a new edition of the Octavia RS (sports version of the Octavia) with the powerful turbo diesel engine 2.0 TDI PD. The demand for Å koda vehicles is growing. From January until June 2006, Å koda Auto’s car sales grew by 12.4 compared to the same period of 2005. 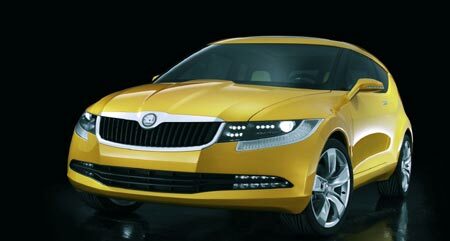 Specified in terms of the respective model lines, the number of customers buying the Octavia grew by 21.4 %, the sales of the Superb grew by 2.6 % and the sales of the Fabia by 4.2 %. Over 275,000 Å koda vehicles were sold over the said period. Å koda Auto is planning to sell 530,000 vehicles over 2006, i.e., break the existing record. The brand is going to get over 500 thousand vehicles produced within one year for the very first time in its history. The new models offered by Å koda, i.e., the Octavia Scout, the Octavia RS 2.0 TDI PD/125 kW and the Roomster, are going to help significantly in the company’s efforts aimed at meeting the target. Å koda Auto currently employs 26,000 people and manufactures vehicles in five countries: the Czech Republic, Bosnia and Herzegovina, India, Kazakhstan and the Ukraine. 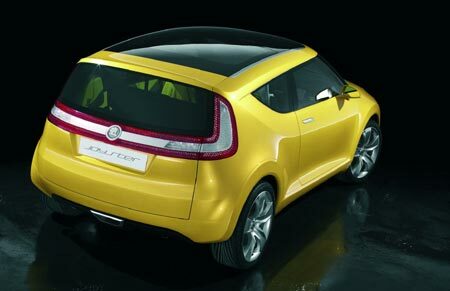 In 2007 Å koda Auto is going to start manufacturing cars also in its new production plant in China. Å koda vehicles are sold in altogether 90 countries. Å koda Auto’s presentation at the Paris International Motor Show is in Hall No. 4. The latest Joyster design study materializes ideas of new forms and functions of a compact car for Å koda’s future customers and outlines the future development of familiar design elements from Å koda Auto. 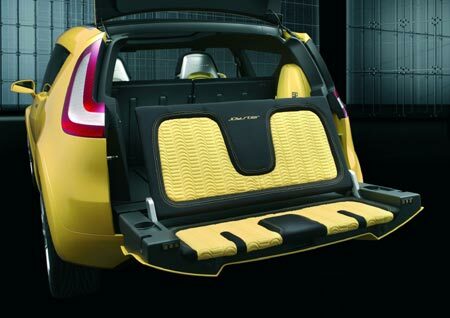 The Joyster is a three-door car with compact exterior dimensions, yet surprisingly generous interior space. It is also a new combination of compact body design and a wide range of communication technologies and comfort equipment. The design study primarily pursues the long-term goal of offering simple and at the same time clever solutions, which together with Å koda’s motto “Simply Clever” have become a widely recognised term for friendly and sophisticated details of Å koda car design.